It seeks to integrate software, hardware, and people elements to provide an exemplary model for the design of smart and healthy buildings for occupants. The press release stated that it could serve as a unique living laboratory for smart building technologies, or an “Office of the Future”. It seeks to integrate software, hardware, and people elements to provide an exemplary model for the design of smart and healthy buildings for occupants. The Research Collaboration Agreement was signed and exchanged between BCA and SinBerBEST on 29 June during the Ministry of National Development (MND) Urban Sustainability R&D Congress 2017. The project is expected to be completed by the end of 2018. A zero energy building is one that produces enough energy to run itself. 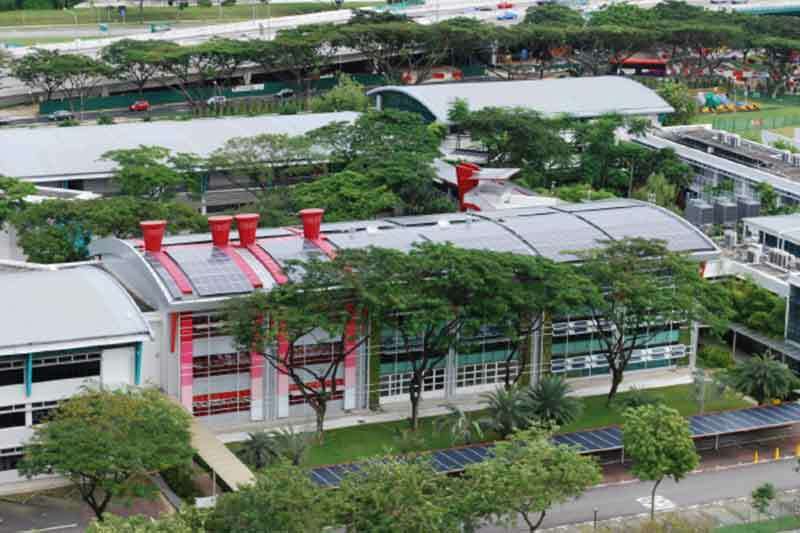 The current ZEB, which was opened in October 2009, has already been recognised as one of the most energy efficient buildings in Singapore with 50% better energy efficiency than a code-compliant building. It houses green classrooms and offices, and also function as a test-bedding centre for Green Building Technologies. Since its launch in 2009, ZEB has delivered a net zero energy performance for seven continuous years, producing more energy than it consumes with a net surplus of between 7- 9% achieved on a yearly basis. The energy efficiency of ZEB will be enhanced to achieve a further 20% improvement over the current level. The building will be able to achieve an overall energy surplus of at least 40%, with the upgrading of the existing solar photovoltaic system and savings from the smart technologies. The latest energy efficient technologies will be incorporated to address the positive energy challenge. More than 20 innovative building technologies developed over years of R&D at UC Berkeley and local universities, covering air-conditioning, lighting, façade, smart controls, etc, will be engineered and tested in the refurbished building. There will be significant emphasis on smart building technologies. Enabling technologies at user level, such as occupancy positioning, personalised environment setting, plug load monitoring and control, etc. will be streamlined into the infrastructure of the office space. The current number of sensors and monitoring devices in the space will be tripled more than 1,000. The sensors will provide real-time feedback of its occupants’ activities to a dedicated smart building management system (BMS). This BMS will interact with the deployed technologies, collect data and analyse it and then adjust the building systems to deliver an indoor environment that optimises the energy usage of the space, as well as the experience of its occupants. Plug loads management system: This will monitor plug-load energy consumption of each occupant to understand usage pattern and reschedule operation of plug load to reduce energy wastage. Double skin facade: High performance facade system that reduces operational energy use i.e. cooling energy use. The refurbished ZEB will also aim to provide an adaptable, smart, biophilic and healthy office environment for its occupants. Biophilic and ergonomic design will be systematically implemented through a collaborative and integrated design-thinking process with deep end-user engagement.